by Carol Otis Hurst. Illustrated by James Stevenson. Picture Book. 32 pages. Grades PreK-3. I've (Carol) been telling the story of my father's lifelong joy in rock collecting for years. He collected rocks and minerals from the time he was a small boy and kept at it through his lifetime, not caring that others (including my mother) thought it was a waste of time. When the Great Depression brought an end to his gas station business, it was those rocks that presented him with a new and far more fulfilling career. It is, I think, an inspiring story and I told it to my own kids because they never knew my father but they tripped over rocks in boxes all over the place--souvenirs of his lifetime's passion. I started telling audiences at my workshops about my father as a sort of introduction to books about rocks and then to books about following the dream. With those frequent retellings, the story began to take on a set form. That was the point at which I wrote it down for my grandchildren and then realized that, with a little tinkering, it could become the text for a picture book. An Honor Book for the 2001 Boston Globe, Horn Book Award. An American Library Association 2002 Notable Book. New York Public Library's "One Hundred Titles for Reading and Sharing". Outstanding Science Trade Books for Children (NSTA/CBC). Obviously we can't be objective in reviewing this book. Therefore we have included here third party reviews and the Book Description from the jacket. If You Find a Rock makes a great companion to Byrd Baylor's Everybody Needs a Rock (Atheneum, 1974 ISBN 0 684 13899 9). Everybody Needs a Rock by Byrd Baylor. Illustrated by Peter Parnall. (1974, Atheneum. ISBN 0-689-71051-8. Order Info.) Picture Book. 32 pages. Gr 1-4. With her spare, poetic prose, the author gives us ten rules for picking our own special rocks, leading us through smell, taste, feel and sight. Her locale is southwestern United States and Peter Parnall's illustrations match it well. His lines trail off into the vast spaces and his figures, especially the rocks, seem to grow out of that space. Read More. 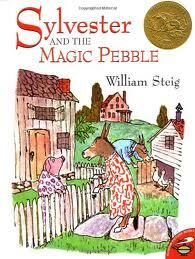 Sylvester and the Magic Pebble by William Steig. (2010, Atheneum. ISBN 9781442416673. Order Info.) Picture Book. 42 pages. Gr K-3. In this Caldecott Award winner, we find Sylvester collecting pebbles as a hobby. One day he finds an extraordinary red one. Finding it will grant his every wish, he is delighted. When he foolishly wishes to be a rock, he cannot hold on to the pebble to wish himself back. He remains a rock while his father and mother search and then mourn for him. One day, quite by accident, his father places the pebble on him just as his mother wishes he would return to them. If you find a rock by Peggy Christian. Illustrated by Barbara Hirsch Lember. (2000, Harcourt. ISBN 9780152393397. Order Info.) Picture Book. 32 pages. Gr PreK-3. 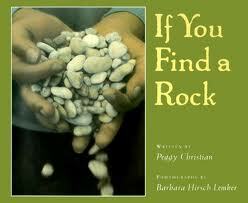 In this photo essay style picture book we see children finding different kinds of rocks. These aren't classified by mineral or structure but rather by use: skipping rocks, splashing rocks, climbing rocks, resting rocks. This is an accessible meditation on interacting with one element of nature. 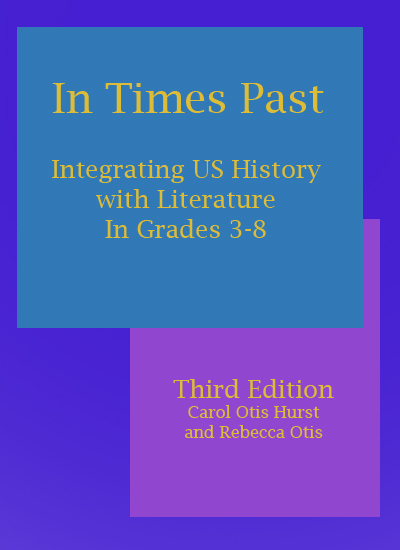 Author information about Carol Otis Hurst. Work and Occupations. Featured Subject with related books, activities and links. Geology. Featured Subject with related books, activities and links. The Great Depression. Featured Subject with related books, activities and links.